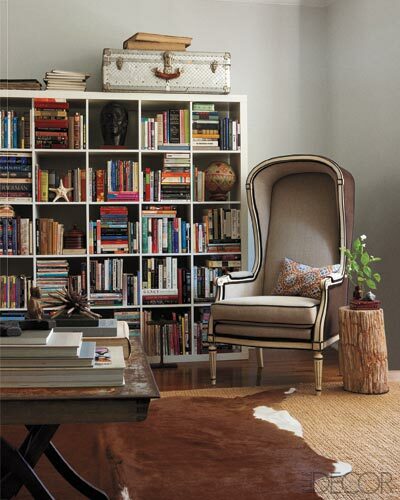 This wonderful vintage-chic condo caught my eye in this month's Elle Decor. The home of Devin Kirk, retail executive for Jayson Home, is a mix of linen upholstered furniture with found items from antique markets and vintage sales. I don't think I'll ever tire of this design aesthetic. 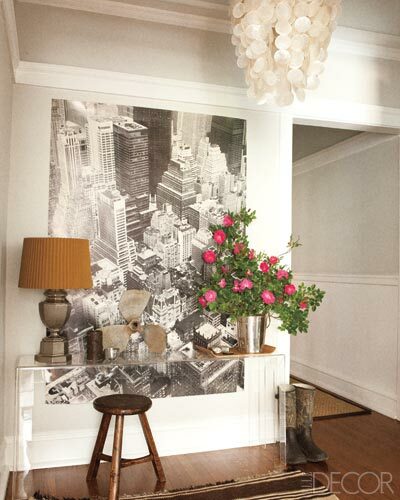 Love the sense of an invisible shelf thanks to the lucite console in front of the dramatic city scene. 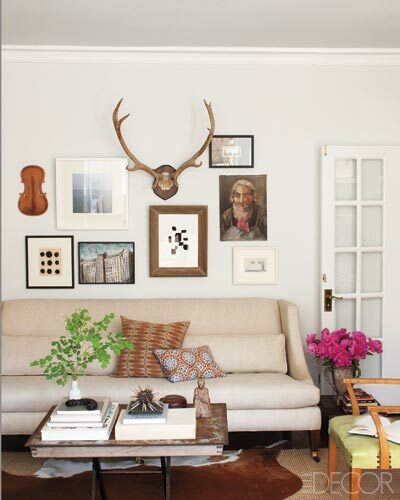 Oh gallery wall, you had me at hello. 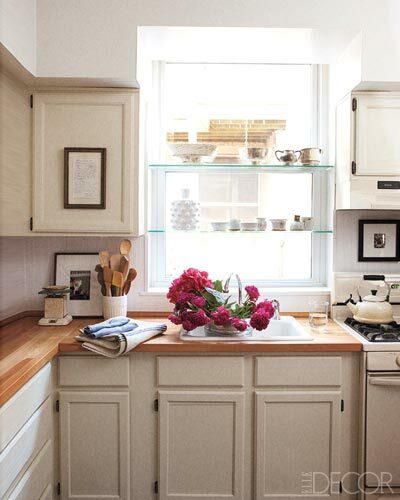 Kirk updated the original cabinets with a fresh coat of paint and even kept the fifteen year old "bisque" appliances. And it works! Good thing they weren't avocado colored. 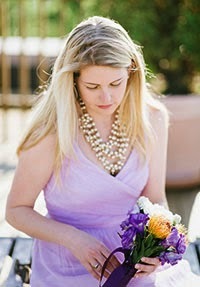 Check out more images and read the full interview with Devin Kirk at Elle Decor.